The Now Select is a binding I’ve ridden over the years and it offers up a very damp super shock absorbent smooth turning ride. My only issue is the adjustability and I can get pressure along the part of the foot before the toes start with softer sole boots. But it’s cool to have the high back diversity and the ability to change out the stoppers to alter the response/butter ability a bit. It has that very unique love it or hate it ride to it so it really comes down to if it appeals to what you want out of a binding. Days: 2 in some pretty foggy/overcast weather. The NOW Select feels like the evolution of the NOW IPO and feels like the IPO with flavors of the Now Pilot in it. It feels like it offers a little more no-back friendliness and also provides a little bit of extra lateral support with the slightly larger high back. We found the Drive to be unique to the NOW line but the Select to be more of a variation of the IPO. Is that bad? No not at all. It offers a little more support on the back and front end without a high back and makes for a slightly more supportive IPO with the high back. Flex- The high back is a smallish medium of flex. Adjustability– You can dial out the Select rather well so there isn’t much of a problem here. We like the tooless adjustability. Comfort– So the larger ankle straps and soft foot bed are super comfortable. The only problem is at the end of the heel loop can be a bit tight on the sides of your boot and cause a little pressure. 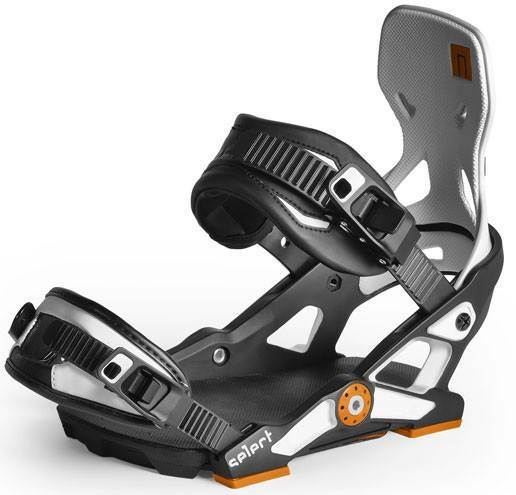 In order to have the bindings work without a high back the heel loops has to be tight. It fit most of our boots but there is a little pressure where the heel loop merges in the middle with the binding next to the king pin tech. Heel-Toe Response– So some of us felt that the edge to edge response had a bit of a delay and they didn’t really like that feel. I personally liked the mellow edge to edge response and thought of it as smoothly responsive. It handled more aggressive boards than you would think. Tip-Tail Response– So there is a reduced dead spot going on here but it doesn’t feel as easy to butter and press as other bindings with reduced dead spots. With the softer bushings it’s a little easier to butter but with the stiffer bushings it’s more work. It’s more about reducing chatter than easier flex under foot. Still it’s better than most bindings without a reduced dead spot. Boot Support– There is a very locked in feel here and it feels like even with the smaller ankle strap there isn’t much room to move which some love and some don’t. I think it’s all in the heel loop here that offers a lot of lateral as well as longitudinal support. Ratchet System- The toe and ankle straps are well thought out and pretty smooth. Almost as smooth as Burton here and they are soo good you never think about them because they hardly ever stick. NOW thought this out well. The select has a very old school feel but keeps up with the new school tech and this could be a good binding for the right rider. Our favorite part about this binding is the ability to reduce fatigue and eliminate shock from even boards that can’t handle uneven terrain very well. We try to get as many images of the NOW Select, but forgive us if they're not all there. I LOVE these bindings! I bought them when I was riding a Forum Destroyer DoubleDog, and the flexibility of that board mixed with the heelcup(no back) on this binding was such a freeing feeling on powder days. Last season I got the NeverSummer Ripsaw and quickly realized you can't ride no-backs on a stiffer board, but that these bindings are just as amazing with the highback attached. One downside I've had is after over 100 days of riding these bindings I finally had a toe buckle snap a week ago. The plus is that NOW seems to already know about this issue and came out with a much more solid version of the buckles(2.0). 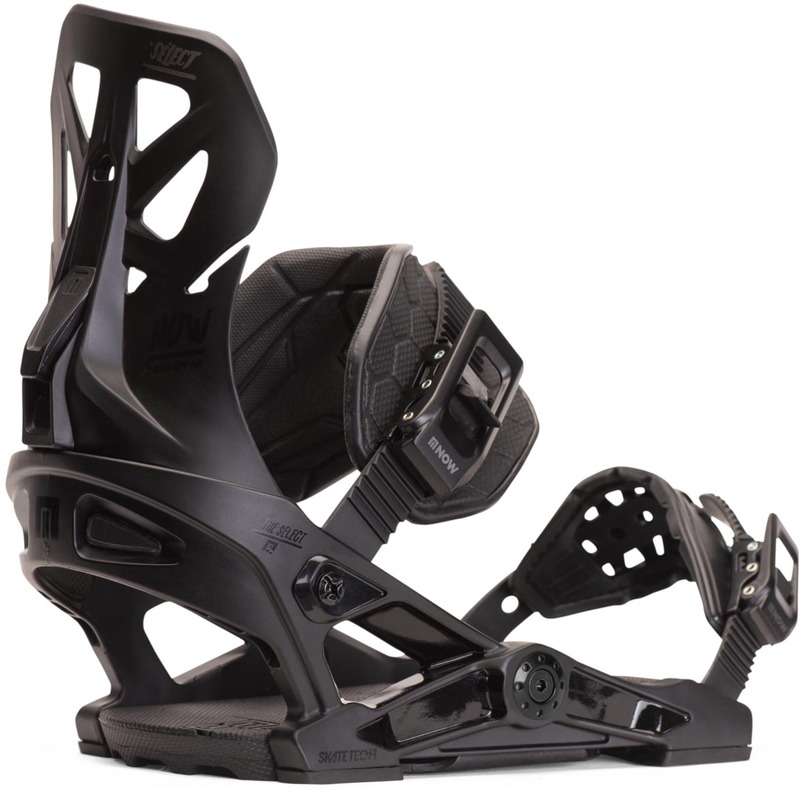 Coming from two sets of Cartels with and without hinge-tech I was tired of heel lift and was thinking of how much my knees bothered me after a long day snow boarding. I grabbed a pair of Selects on sale and was blown away by how they worked. They have a good 6 flex to them with really comfortable straps and the ratchets worked well. I had no knee pain as the bindings are ultra damp. 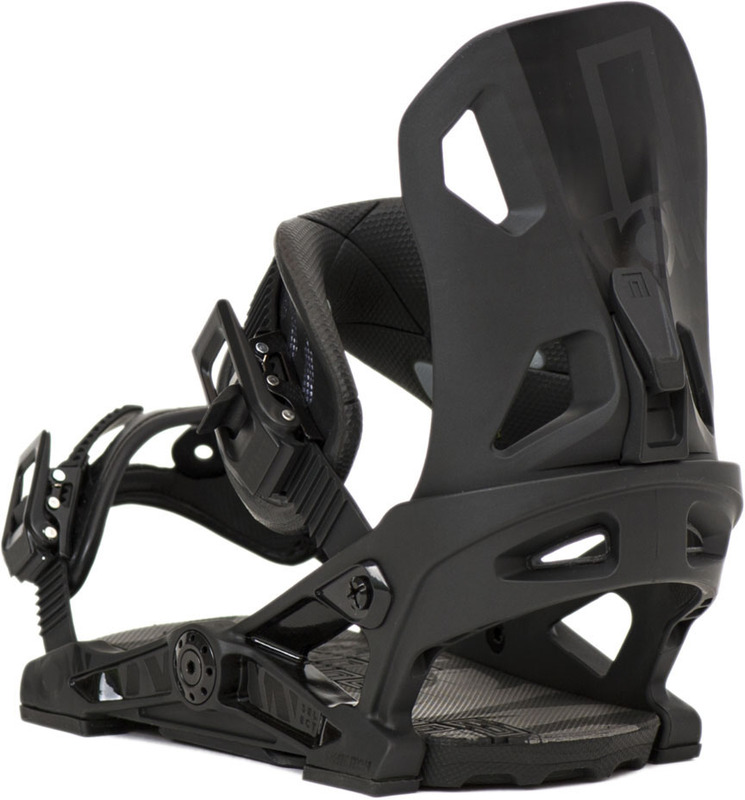 I had zero heel lift in these bindings and could easily turn a stiff board with the way they locked on the boot. They had so much control that I usually ran my straps loose and it didn't matter. My only issue was going over moguls and side hits felt a bit awkward because there was not enough lateral play. I ended up picking up a pair of NOW Pilots which let me move laterally better in rough terrain and sold the Selects. I had the Selects on a stiff board and perhaps if they were on a softer park board the locked in feel would mesh better. I bought these bindings looking to improve my skate style riding. The idea of creating bindings that rode like skateboard trucks instantly caught my attention. 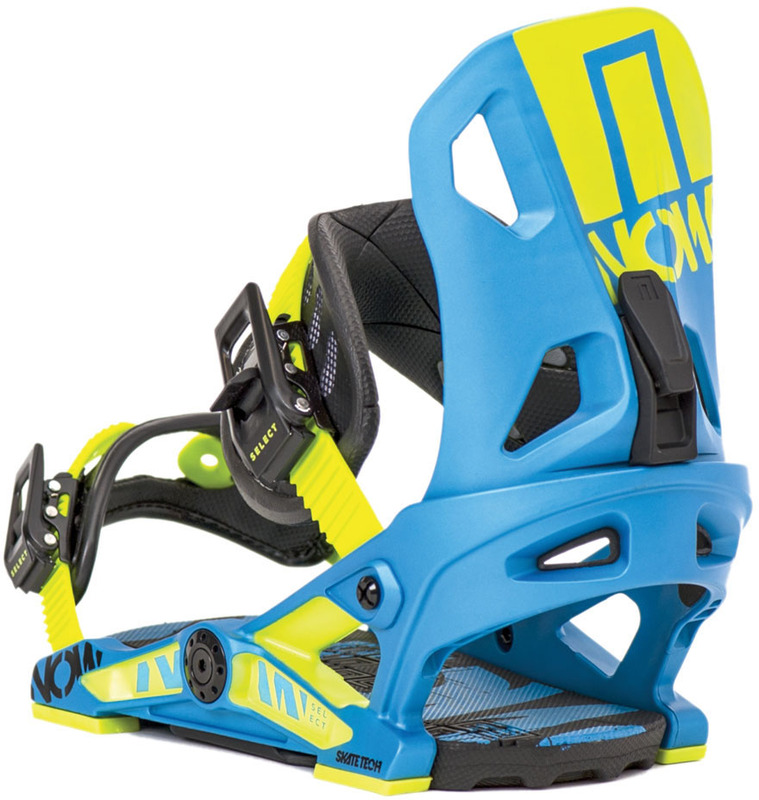 I read and watched numerous reviews and went with the Now Select Bindings. From jump, turn initiation was effortless and I felt there board under my feet more than with any other binding I have ever rode in 22 years. I initially had the pinching in the back of one binding butvaftervtweaking the stance it was no longer a problem( the good ride review pointed out this potential problem). My only complaint is that the straps, more so the toe straps are cheap and need to be made sturdier and more comfortable. I'm def looking forward to future improvements to these potentially dope bindings.